Around 120 jobs are to go at the UK head office of German pharmaceutical giant Celesio as part of a restructure of its Lloydspharmacy and AAH operations. The redundancies at Celesio’s HQ at the Walsgrave Triangle Business Park in Coventry come on the back of a decision by the firm to combine back office functions such as IT and human resources at the two businesses. The latest move follows a 90-day consultation period which began on May 8 when 1,100 people were told their jobs were at risk due to the restructure. A spokesman for Celesio said 60 people had agreed to take voluntary redundancy so far and added that although the consultation process had ended appointments were still being made. “In April of this year we announced proposals to restructure the head office functions of Lloydspharmacy and AAH Pharmaceuticals and a consultation exercise with staff affected was initiated,” the spokesman said. “The consultation exercise has now ended. At the start of the consultation we had around 1,100 people who could have been affected by the restructuring. “The appointment process has not concluded, however, we expect to employ in future around 980 people in the new headquarters function. 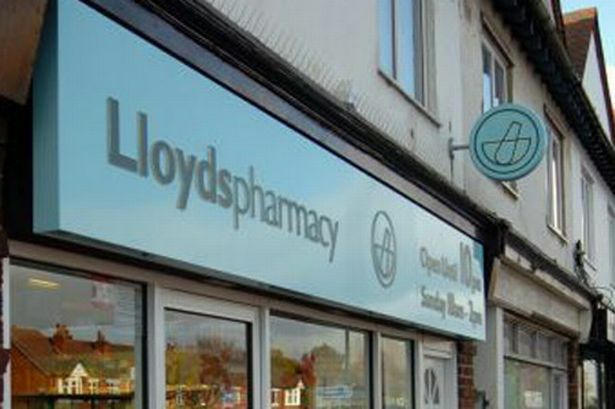 The firm has said staff working the Lloydspharmacy retail network or AAH branch network would not be affected. The restructure plans have not been well received by Lloydspharmacy staff according to a manager working at the Walsgrave headquarters. The manager, who did not wish to be named, likened the restructure to an “AAH takeover”. The disgruntled manager, who said he was staying with Lloydspharmacy as he had been “mapped into a new role” and was therefore not eligible for voluntary redundancy, added that many staff had chosen to leave the company – preferring the prospect of redundancy over applying for a role under the new structure. “A lot of people have already left of their own volition mainly because they can see where it is going,” he said. “This is a case of a warehousing company taking over a retail company. It just seems massively out of sync. “The feeling on the Lloydspharmacy side very low – it’s decimated everyone at Lloyds. A lot of people have been leaving and finding jobs elsewhere. “At one point there were 60 roles that had no applications internally so it would seem there is very little appetite to stay with the company. You could apply for voluntary redundancy and I think they were quite overwhelmed by the number of people applying. While Lloydspharmacy has an established high street presence AAH (Amalgamated Anthracite Holdings) is less well known, being largely involved with warehousing and distribution. Among other things it supplies Tesco pharmacies. Celesio AG is the largest pharmaceutical wholesaler in Europe. It bought AAH (then the UK’s leading pharmaceutical wholesaler) in 1995 going on to acquire Lloyds Chemists in 1997. The Lloydspharmacy group was formed in March 1998. The restructure is aiming to give the company a “more consistent brand and sales format”.